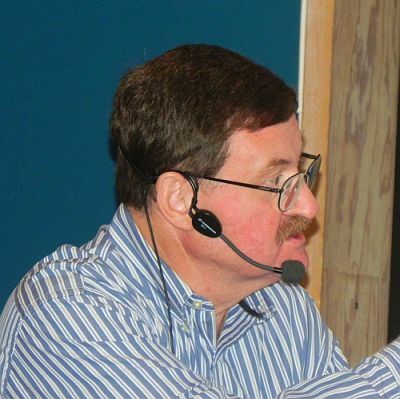 Here are some observations taken from Bruce Gagnon's conference notes and notes and elsewhere that are particularly interesting and important, as he said "they are not in any particular order but all equally valuable". 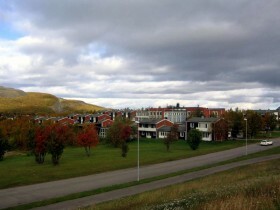 Kiruna is a city of about 20,000 people in the High North in Norbotten County, Lapland, above the Arctic Circle. It is the land of the midnight sun and while we were there we never saw the sun set it was daylight for 24 hours which was a bit disorienting at first but I think we soon got used to it. Kiruna is well known as a mining town and has the largest underground iron ore mine in the world with a 4km long and 80m thick iron ore seam reaching a depth of 2km, Mining began at the site over 100 years ago and LKAB has produced over 950Mt of ore, although only one third of the original ore body has been extracted so far. Since mid-1999, Kiruna's haulage level at a depth of 775m has been replaced by the next level down at 1,045m, which will support production until 2018. The operation employs 1,800 people, with some 400 working in the mine. On 28 October 2008, the mining company LKAB approved the decision to construct a new main level at the mine. The main level will be built at an investment of around $1.7bn. In 2008, Kiruna produced 27.5Mt of iron products exported around the world. However, because the mining is now encroaching on the city and the ground is subject to subsidence and so large parts of the city are being moved away from the mining process. This operation is due to cost billions of Swedish crowns and will take the next 30 years to complete. 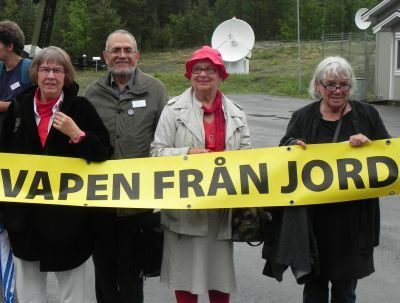 LKAB which is owned by the state, will pay for the moving of the city - which illustrates just how important the mine is to the region, to Sweden and even Europe. During WW II the Nazi’s never occupied Sweden but instead they took the iron ore from Kiruna to Germany to help build their war machine. Just outside of Kiruna is NEAT - the North European Aerospace Test range, Europe's largest test range being spread over 24,000 km². This area is regularly used by NATO for military exercises and encompasses the Esrange Space Center which was built in 1964 by ESRO the European Space Research Organisation (which later became the European Space Agency - ESA). 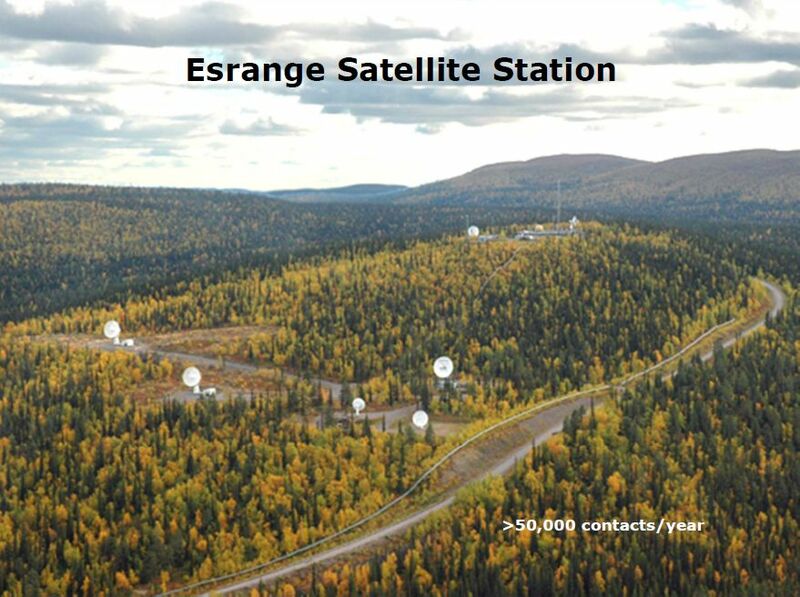 Esrange is the world's largest satellite receiving station and where images from satellites in polar orbits are downloaded daily. 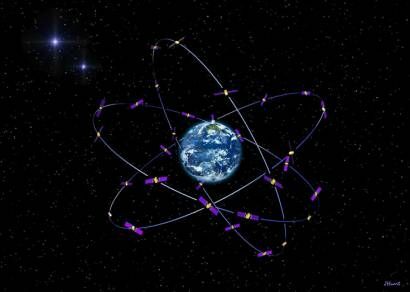 The information from many of these satellites is used for both civilian and military purposes. The management of Esrange was transferred to the Swedish Space Corporation (SSC) in 1972 and is also used for launching rockets and balloons, mainly for scientific research. 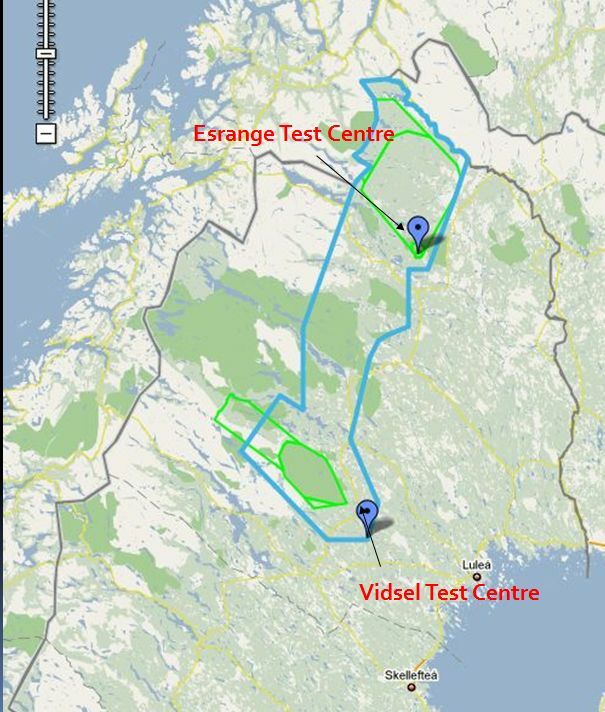 The Vidsel site is used to test long range missiles and drones and for military exercises. It has a permanently restricted airspace which covers a ground area of 7,200 km². The original test area of 1,600 km² was established in 1958, and is suspended ground space year-around. 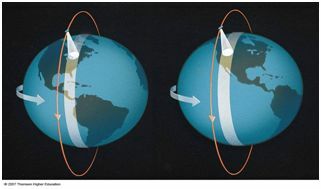 1,700 km² (divided into two parts of 1600 km² and 100 km²) can be suspended when a larger area is needed. The extended range can be used Sept-June. The conference took place at Malmfältens Hotel and Conference centre, Sweden’s northernmost folkhögskola, Folk High School. 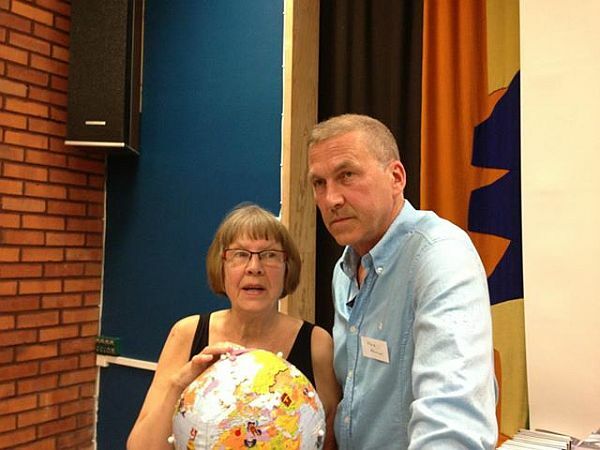 It was opened by Gun-Britt Mäkitalo on behalf of Women for Peace and Eva Jonsson acted as translator. The conference was well attended and included people from Sweden, Norway, Finland, Denmark, Germany, England, Russia, US, Mexico and Japan. 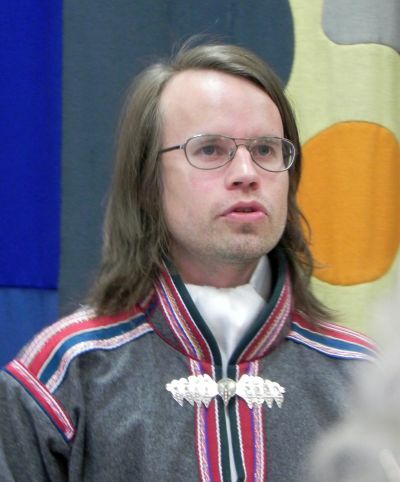 Simon Marainen, a Sami (indigenous people from the High North) artist and performer. Sami are best known for their reindeer herding and for joiking - a joik is a traditional Sami form of song. He sang joiks dedicated to his mother, grandfather, his friend, and the wind. 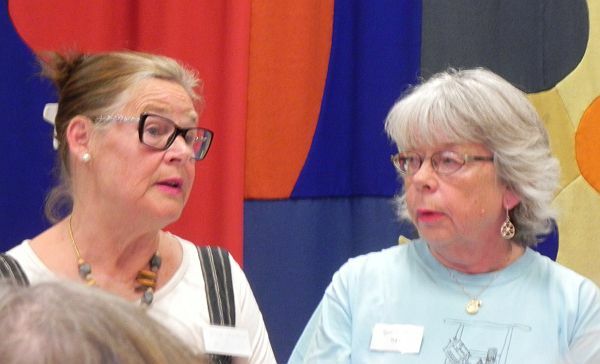 There was also a warm welcome from Siw Holma, local parliamentarian for the Left Party who informed the conference about the city of Kiruna and the proposed shifting of parts of the city to accommodate extensions to the iron ore mining. 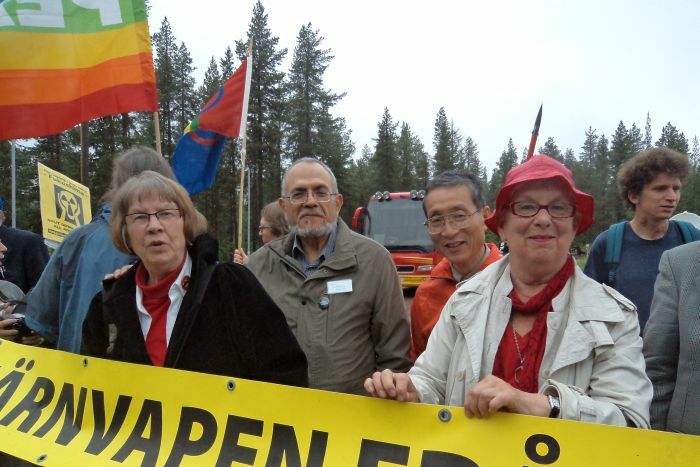 Expanding mining operations, the growing space testing range and the militarisation of Sámi territory are having extremely negative impacts on the Sámi people’s culture and ability to herd reindeer. 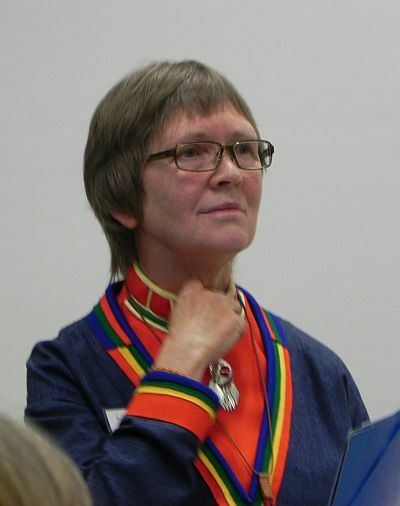 Lilian Mikaelsson from Sámi Ätnam, the oldest Sámi national organization, gave a very moving presentation on just how much the Swedish government has violated the indigenous declaration that they signed by allowing the U.S. Air Force to practice bombing in what was once Sámi land. 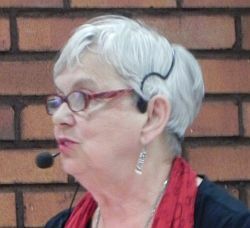 Lilian spoke about how many people, including most of those in government, are not informed enough about indigenous rights, international law and the content of the indigenous declaration. She talked of how our minds have been colonized by the western dominant culture and that we each have a responsibility to de-colonize our minds. The main presenter of the day was Norwegian journalist Bård Wormdal (author of 'The Satellite War') who spoke on "Norwegian double standards on security policy in the Arctic". He began by reminding us of the poke about the Vardø radar controversy. Back in 1998 a Raytheon Have Stare "high-resolution X-band tracking and imaging radar with a 27-meter mechanical dish antenna" which had been operational at Vandenberg Air Force Base in California since 1995, was quietly dismantled and moved to northern Norway. 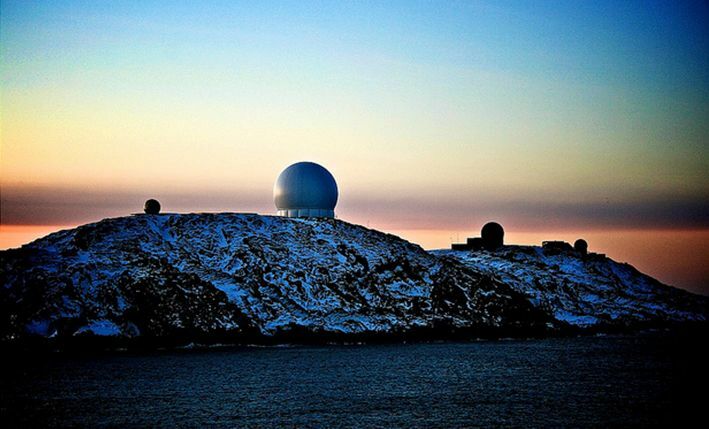 In California it was used in early development tests of the US National Missile Defense (NMD) program and in Norway it was reassembled by the US and Norway under the project name "Globus II" at Vardø just 40 miles from Russian border. The US and Norway claimed that the radar would be used to monitor space debris however Russian and US experts demonstrated how its principal use would be to collect detailed intelligence data on Russia's long-range ballistic missiles. It seems clear now that the radar did violate the 1972 ABM Treaty which did not allow the deployment of such a radar outside US territory. This was clearly underlined when, in June, 2000 - 2 years before George W Bush withdrew from the ABM Treaty -, the Norwegian intelligence agency eventually admitted , that the US did intend to use it as a basis for missile defense purposes. A $50 million upgrade to the radar by the US was announced in February this year to extend its operational life. Bård spoke about the Norwegian government's “double standards” following the dreadful attack by a gunman killing 69 people and injuring another 110 on the island of Utøya in 2011. In response, Norwegian Prime Minister Jens Stoltenberg talked of more democracy and more transparency but Bård showed that Norway has in fact continued to violate treaties and agreements. In particular, the Svalbard Treaty of 1920 between which strictly forbids military operations of any kind from this archipelago in the far north. 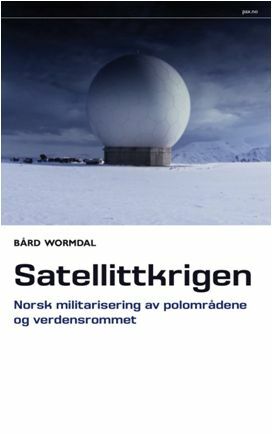 Kongsberg Satellite Services (KSAT, a commercial Norwegian company, 50% owned by the state) has uniquely positioned ground stations that can download information for all 14 daily orbits of polar orbiting satellites at Tromsø, Svalbard (SvalSat) and TrollSat in the Antarctic. SvalSat downloads images of the earth that are used for intelligence and military activities. For example, during the Libyan war Landsat images were sold by the Italian company e-GEOS to the Italian Armed Forces; satellite images were sold to the US Armed Forces during the War in Afghanistan and images of North Korean installations have been sold to the US. These were downloaded from different satellites, all using SvalSat as a ground station. 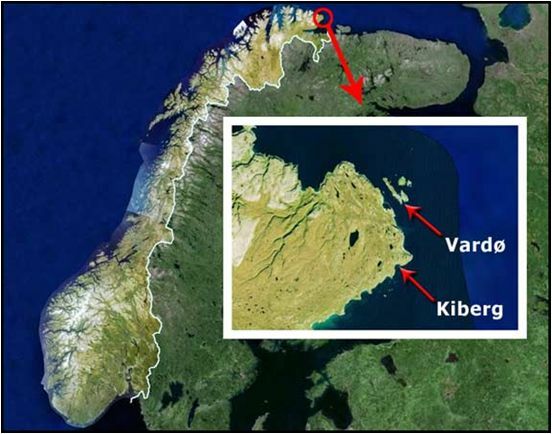 Bård also revealed how the Pentagon has paid for fibre optic cables to be laid from the station to the mainland to enable the transfer of the huge amounts of data that satellite images generate. 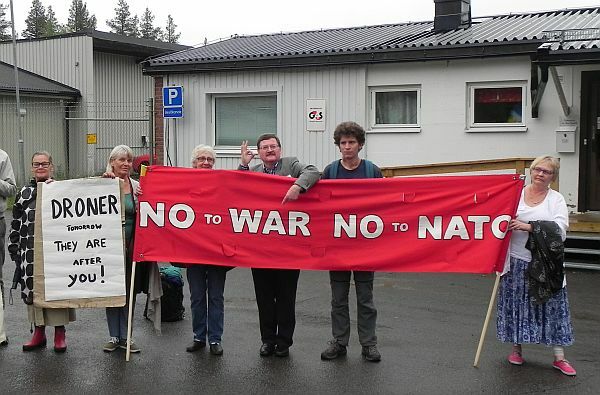 Bård's book provides conclusive evidence of treaty violations which are denied or ignored by the Norwegian government. 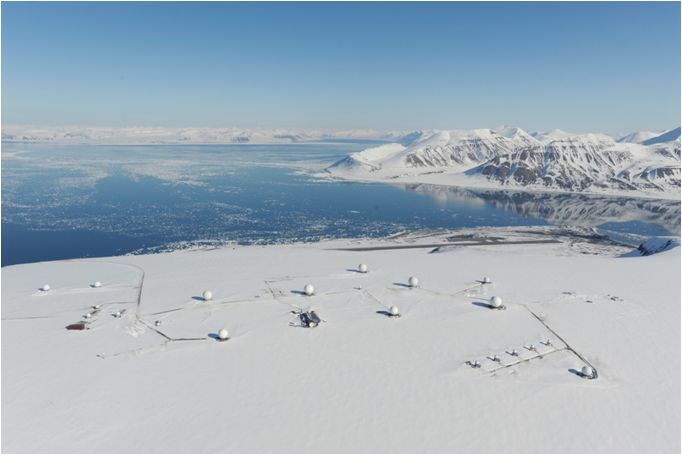 Another KSAT station - known as TrollSat - has been established at the other end of the world in Antarctica. It can serve low Earth orbit satellites and operations control is carried out from Tromsø. Satellites using TrollSat include Radarsat, GeoEye and WorldView which serve commercial and military customers and the station is also used by the Galileo European GPS system (more of which later). As Bård points out the 1961 Antarctic Treaty states that "Antarctica shall continue forever to be used exclusively for peaceful purposes and shall not become the scene or object of international discord" and Article 1 forbids "any measures of a military nature" but the Norwegian government and NATO allies, deny or ignore all the evidence laid out in Bård's book. Norwegian Labour government Minister Jonas Gahr Støre has assured the Norwegian parliament that Norway follows the Svalsbard Treaty in a strict manner - it's up to us to make sure they are made to take their responsibilities seriously. 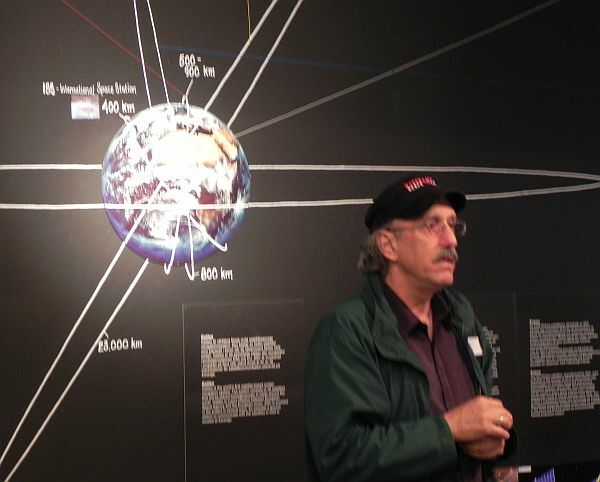 In the afternoon conference participants took a bus trip to the Esrange Space Center. Here we received a briefing from the public relations team representing the Swedish Space Corporation. Two people - same graphic, different views! They were very keen to make sure we understood that the rocket range was used for scientific purposes and they claimed no knowledge of military exercises or tests. Bruce pointed out quite strongly that the text about the satellite systems downloaded here claimed they were civilian systems when we know that they are used by the military who purchase the images from the providers who use the facility. Eventually after much questioning our group they did admit that they were only acting as conduits for the images received from the satellites which are frequently dual use systems - final customers could be anybody and often are the US and NATO military. Some of the group left the presentation early to hold banners up at the entrance and catch those coming out of the station at the end of their shift. They were joined by the other group members when the presentation finally ended. The next morning opened with Bruce Gagnon talking on "21 years of Organizing on Space Issues". His paper can be downloaded here - he emphasised the growing importance of space technology to the military - just about every military operation now depends upon satellite for support, communication, surveillance and battle management activities - and gave an overview of the Global Network and its 21 years of activity. He described how we have been to the Space Command headquarters in Colorado and the headquarters of the Strategic Command in Nebraska. We’ve gone to Cape Canaveral in Florida just before the 1997 NASA launch of the Cassini mission that carried 72 pounds of deadly plutonium-238 into the heavens. We’ve been to Menwith Hill in the Yorkshire dales of England where the US NSA spy base is located and we have even been to Bath, Maine, where he lives, to hold a protest at Bath Iron Works where they build Aegis destroyers for the Navy that are outfitted with so-called “missile defense” systems which are now being used to surround Russia and China. He reminded us that it has come to pass that the number one industrial export product of the US is weapons - and when weapons are the top industrial export of your nation – wars become the global marketing strategy and war today is directed using space technology. 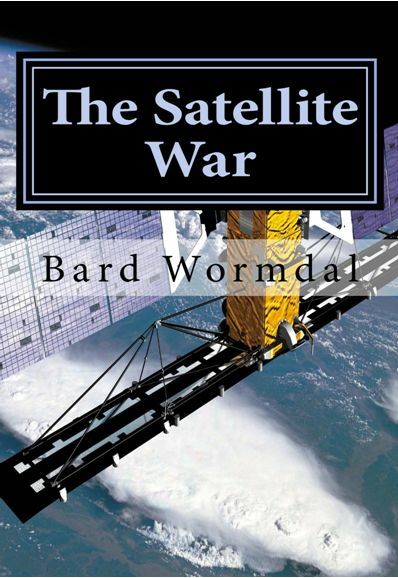 The Persian Gulf War in 1991 was called the “first space war” because at that time the Space Command field-tested all of their new space technology. Before the Gulf War began the US Space Command pre-identified all of Iraq’s military targets using military satellites. In the first 2-3 days of the war 95% of those targets were hit. The war was essentially over at that point but dragged on for weeks. During those remaining days the Pentagon launched 100 cruise missiles, costing $1 million each, and used up lots more military hardware that kept production lines humming round-the-clock back at home. But most importantly, the Space Command was learning how to tie all warfare – whether ground-based, sea-based, or air-based into the Space Command system. The “Full Spectrum Dominance” idea was developed from here - with space technology directing all warfare on the planet and the US would not allow anyone else to achieve that capability. Today drones in Afghanistan, Pakistan, or Mali are “flown” by pilots back in the US at places like Creech AFB, Nevada or Hancock Air Field, New York. This is made possible by military satellites that link pilot to drone in “real time”. Space Command downlink ground stations spread around the globe help relay those signals. The Pentagon brags that this high-tech warfare enhances “the kill chain”. The satellites allow the military to see everything, hear everything, and to target every place on the planet. For years the Pentagon has been saying that Star Wars, this military space technology system, will be the largest industrial project in the history of our planet. Even after the US government, now under control of the corporations, cuts what little social programs we have left, the Pentagon will still need more money and they need allies to help pay for this very expensive program. The US and NATO are discussing how to integrate their space technology programs - but of have no doubt that the US intends to stay in control. The militarization of everything around us is a spiritual sickness. Native American holy man Lame Deer often talked and how the white man's spiritual connection to the Mother Earth is broken - he is blinded by his love for the dollar. As we in the Global Network talk about these space issues we call always call for the conversion of the military industrial complex so that we can have an internationally coordinated response to the coming harsh reality of climate change. This will not happen unless we repeatedly demand and organize globally to make it happen. We’ve all had enough war. 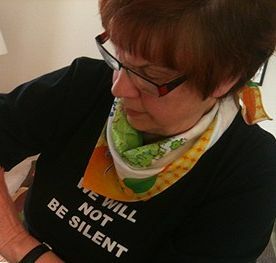 It’s time for us to move toward sanity, peace, and sustainability. 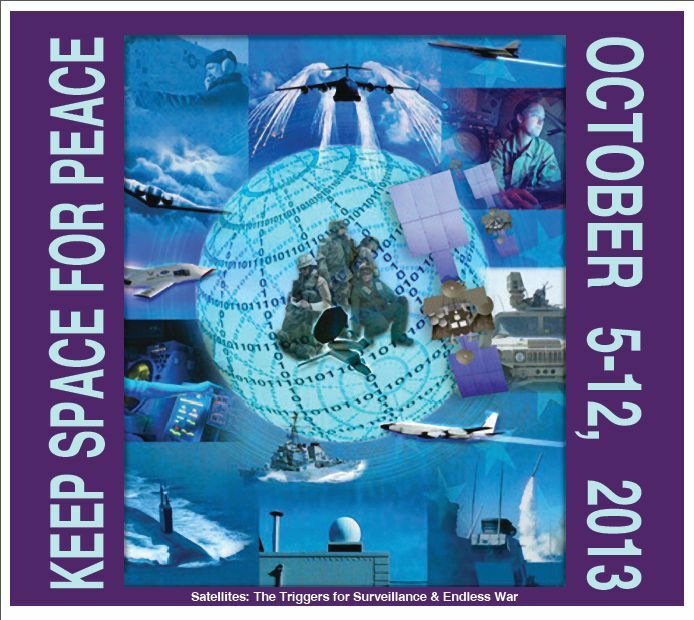 Each fall the Global Network holds a week of local actions called Keep Space for Peace Week. In 2013 the week will be October 5-12 and the theme this year will be the vital connection between drones and military satellites. We urge folks to hold a local event in solidarity with actions around the world during that week of protests. We all live on a tiny satellite flying through space. Our challenge is to develop the necessary consciousness and peaceful culture to survive this journey. Viewing our Mother Earth and the vastness of space as sacred will help us to plant a seed that will flourish in time. Dave Webb then spoke on "US Missile Defence - Space War in Action" (a text with illustrations is here) with the purpose of showing how US missile defense is just part of the overall strategy of the US military to develop global hegemony through space power – the development and use of space technology to dominate and control. 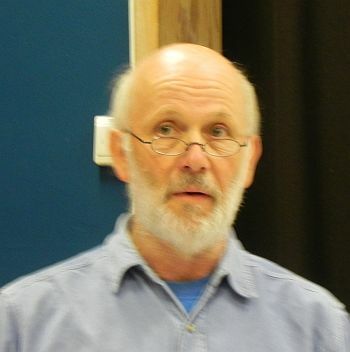 Dave began by pointing out that Sweden sent its first satellite (Viking) into orbit in 1986 and that Sweden’s non military space activities are coordinated through the Swedish National Space Board, created in 1972 and responsible for national and international activities relating to space & remote sensing. Remote sensing is of major importance to the military too and it is often difficult to tell whether projects are entirely non military. There are a growing number of Swedish companies involved in space technology in one way or another and – a quick and simple internet search reveals around 30-40 companies. The SSC or Swedish Space Corporation, has a U.S. based independent subsidiary called the Universal Space Network, Inc. (USN) it has a prime customer in the US Department of Defense. The USN also makes use of PrioraNet - a huge worldwide network of ground stations that provides daily global tracking data and support to several DoD and European missions (including MUSIS, a European Space Based Imaging System servicing the military of a number of European countries). In addition, SSC has acquired LSE Space, a German space engineering company, in 2004. LSE 's main operations are in Oberphaffenhofen and Darmstadt Germany and it is also present in the Netherlands and the United Arab Emirates. RUAG Space AB was formerly known as Saab Space and supplies advanced equipment for satellites and launchers (including to Lockheed Martin, one of the world’s largest defence contractors). The Volvo Group is also a supplier of various types of military vehicles to Sweden, France and the US and Volvo Aero (which was recently acquired by GKN) develops and manufactures components for civil and military aircraft engines and for rocket engines for the European Ariane and Vega launchers. In addition, the SSC also runs NEAT and their brochures describe and sell the facilities and its capabilities (including its use as a testing ground for Unmanned Aerial Vehicles or drones). The Kiruna Satellite receiving station is located not far away and local operations and maintenance there are delivered by SSC and is of growing importance to military and commercial satellites. 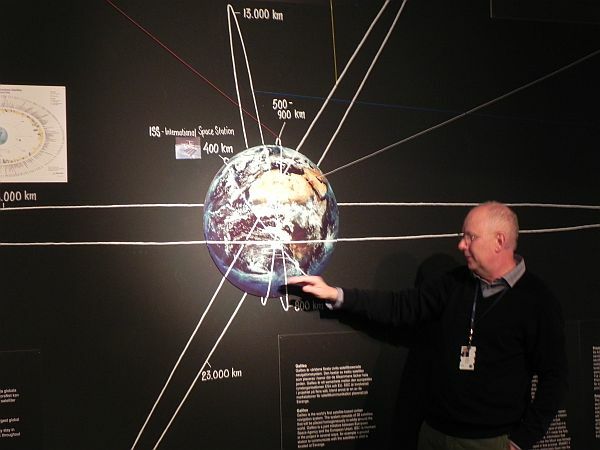 Its geographical situation in the High North means that Kiruna can provide visibility for 10 to 12 of the 14 daily passes made by polar orbiting satellites that are often used by military because of their ability to sweep over much of the Earth’s surface in 24 hours. Kiruna station is extensively used by the European Space Agency (ESA) and routine operations are fully automated and controlled from the ESTRACK Control Centre (ECC) at the ESA European Space Operations Centre (ESOC) in Darmstadt, Germany. The GPS Tracking and the Data Analysis Facility from the Galileo Experimental Sensor Station (GESS) at Kiruna Station both deliver continuous measurements to ESOC’s Navigation Facility. Dave pointed out that many of these operations, supported or provided by Swedish companies and the Swedish government, help to support the hegemonic interests of the US and NATO. The US projects its military power globally through over 800 foreign military bases, most of which are linked by space technology, to exert a massive grip around the world and the US military divides the world into sectors which it seeks to command and control. It uses 6 geographic and 4 functional combatant commands - re coordianted through Strategi Command (STRATCOM) from Offutt Air Force Base in Nebraska. It is STRATCOM that is charged with the mission of Integrated Missile Defense. 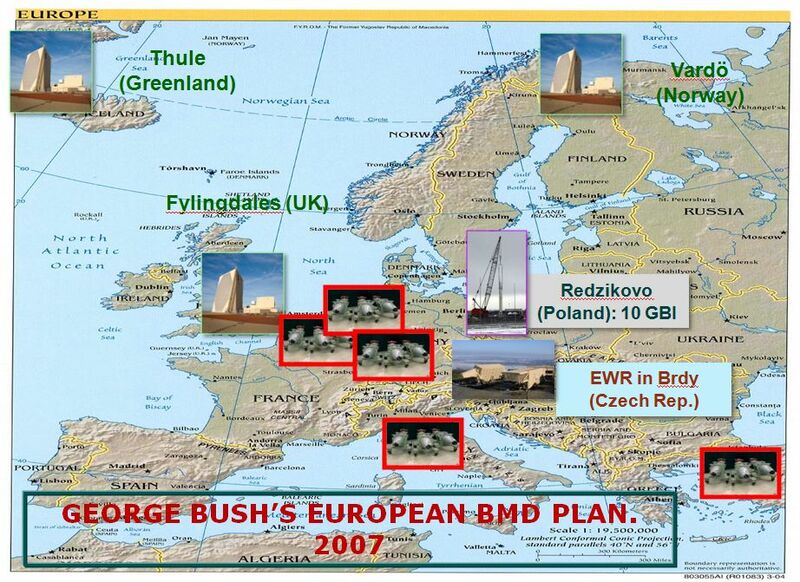 The US missile defence system currently come in two parts - the Ground based Mid Course Defense (GMD) system of George W Bush and the Barak Obama's European system. Dave outlined the GMD - 26 silo-based interceptors at Ft Greely, Alaska (another 14 are due in 2017) and 4 more at Vandenberg AFB, California. Ground based early warning and tracking radars in Alaska, at Thule in Greenland and Fylingdales in the UK have been upgraded for the missile defense role and a $1 billion sea-based X-band radar has been developed to track, discriminate and assess targets from a mobile semi-submersible platform in the Aleutian Islands. A third missile interceptor site on the East Coast could also be established by 2018 at an estimated cost of at least $3.6 billion. 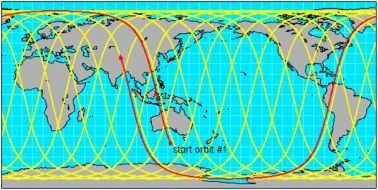 A forward based X-band system has been deployed in Turkey and Japan has agreed to host another (with North Korea in mind). The US has also supplied a system to Israel (citing concerns about Iran). The mobile sea based system can be positioned in the Pacific as and when required. 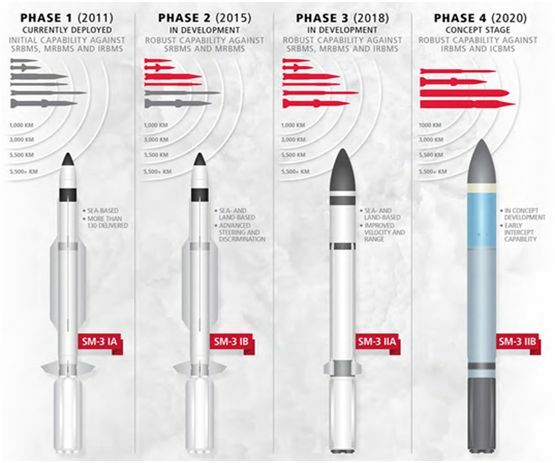 There are also important space-based components of the US missile defense system and the Defense Support Program (DSP) series of satellites are used to give warning of missile launches. Others are being developed for use in High, Geostationary and Low Earth orbits as part of a Space based Infra Red System group to help track and target missiles in mid-flight by detecting the burning rocket engines. 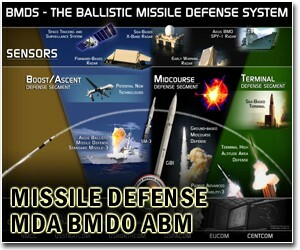 The Aegis Ballistic Missile Defense System is the US ship based system that employs the Lockheed Martin Aegis Weapon System and the Raytheon Standard Missile 3 (SM-3). The Aegis system demonstrated its use as an anti-satellite weapon in February 2008 when it was used to destroy a US satellite said to have gone out of control. 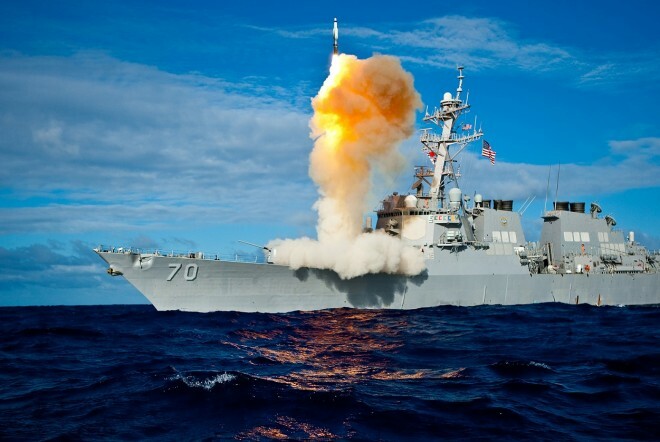 In 2009, President Obama announced that plans for a so-called “Phased Adaptive Approach” (PAA) which is focussed on the use of Aegis ships and the development of the SM-3 missile with 32 ships fitted for missile defense missions to be made ready by 2015. (Perhaps this has something to do with the fact that the former chair of General Dynamics, who build Aegis destroyers, Lester Crown, helped raise millions of dollars for Barack Obama’s presidential campaign?) The Aegis destroyers are built in Bath, Maine at Bath Iron Works and these ships are due to carry more than 430 Standard Missile 3 (SM-3) and 100 SM-2 interceptors (up from 60 and 40 in 2011 respectively). In 2011 agreements were made with Turkey and Romania to host a forward based X-band radar system and interceptors respectively for the US system. 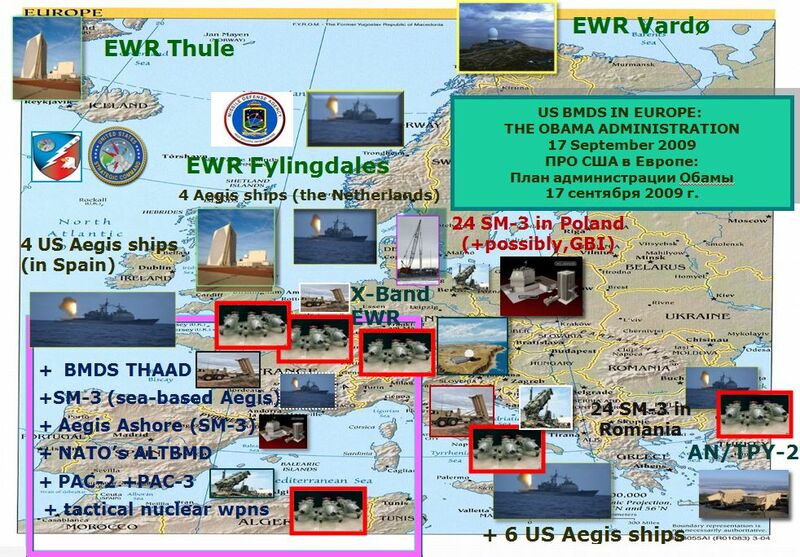 Also in 2011 the US confirmed the agreement to base 24 interceptors in Poland by 2018 and Spain agreed to host US Aegis missile defense ships in Rota. In addition, the Netherlands decided to adapt 4 air-defence frigates for NATO’s BMD capability. In 2012 NATO established its BMD command and control centre at Ramstein, Germany and the Chicago Summit included, perhaps rather prematurely, a declaration of the Interim Capability of the system. 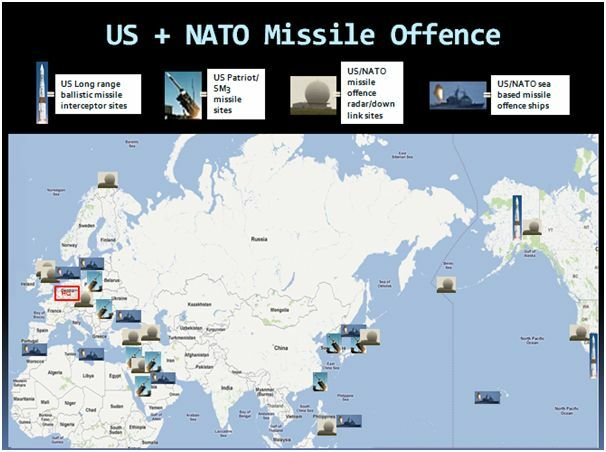 The current state of US-NATO missile defense system placements are as shown above and it is quite clear that the various components of missile defense are lining up round the borders of Russia and China. Iran and North Korea are excuses for their existence - not the real reason. This, and the reaction of Russia in particular, be discussed by Vladimir Kozin. The title for Vladimir Kozin's talk, our speaker from Russia, was "The US BMD: Russia’s Stance - The Way to Overcome The Deadlock". He spoke about Obama's recent speech in Berlin and how he mentioned the need for cuts in nuclear weapons at the same time that the Pentagon was releasing a new plan to upgrade existing US nuclear weapons based in Europe (the US is the only nuclear power that bases its nukes outside of its own country). Obama’s Berlin speech did not contain “a single word” about missile defense and yet the crucial problem with progress on nuclear disarmament is the US and NATO development of a missile defence system in Europe. Kozin stated that the Russian government feels strongly that this program undercuts their strategic defense capability. Just a few days before the conference Vladimir made a critical TV comment on Obama's nuclear remarks in Germany (in Russian) which can be seen here: http://www.risitv.ru/?q=node/86. So, the problem is that when viewed from Russia’s perspective, the American BMD assets can undercut Russia’s own nuclear deterrent and hence increase that country’s vulnerability to a first (that is, offensive) nuclear strike by the US. Although the US has invited Russia to join in a cooperative BMD project it has never appeared to be serious with his offer and for more than 11 years it has not shared the details of the potential cooperation with Moscow. The intention behind Washington's offer is most likely to be intention is most likely to be to to avoid criticism from Moscow and to alienate China and India from Russia. Vladimir insisted that Russia will not find it possible to agree to anything until the US removes its nuclear weapons and missile defense systems from Europe. He pointed to the need for an International ABM Treaty which limits interceptors and their potential location. Proclaim a Nuclear Weapons Free Zone in the Mediterranean, Black, Baltic and Barents Seas and recognise relevant obligations of the extra-regional states. Vladimir has posted his comments on the conference here: http://www.riss.ru/index.php/novosti/1920-v-obsuzhdenii-voprosov-bezopasnosti-na-severe-evropy-i-v-priarkticheskoj-zone-prinyal-uchastie-konsultant-direktora-risi#.Ud6eUG3YGXd and a copy of his paper with illustrations from his presentation is here: Kozin Kiruna. June 2013.doc. 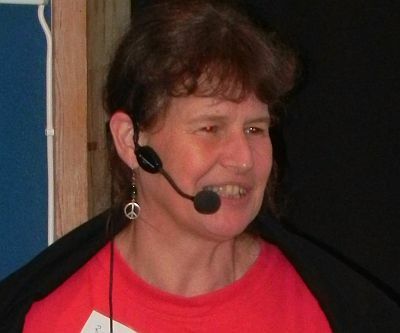 Next up was Regina Hagen from Germany who spoke about the new European Union “Galileo” military/civilian satellite navigation system being built by the European Union (EU) and the European Space Ageny (ESA), at a cost of some €5 billion. Slides from Regina's report are here. The project aims to provide a high-precision positioning system for European nations that is independent from the Russian GLONASS, US GPS, and Chinese Compass systems, which can be disabled in times of war or conflict. After 9-11 the US opposed the Galileo project and argued that it would end the ability of the United States to shut down satellite navigation when it thought necessary. 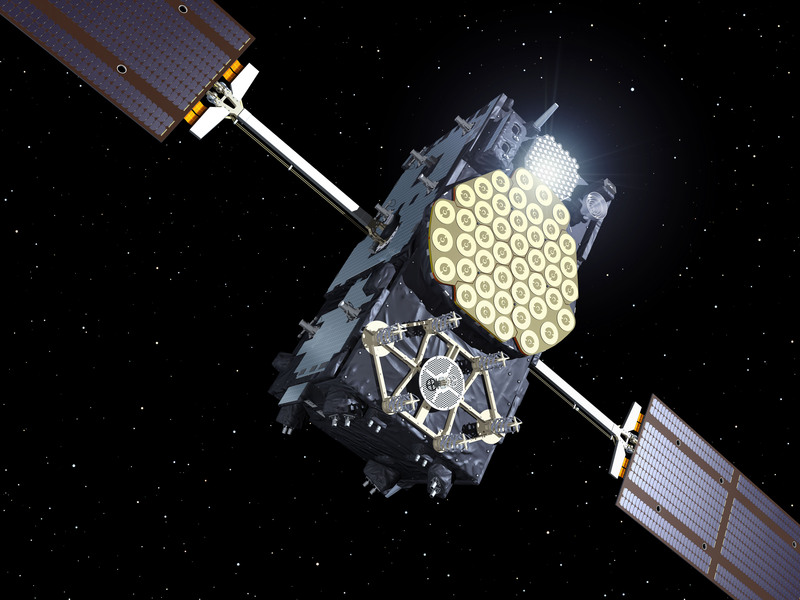 However, in June 2004, an agreement was signed between the US and the EU whereby it was agreed that Galileo would operate in a way that would allow it to coexist with GPS and the EU agreed to address the "mutual concerns related to the protection of allied and U.S. national security capabilities." 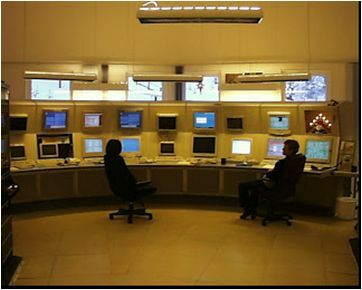 When in operation, it will use two ground operations centres near Munich, Germany and in Fucino, In December 2010, EU ministers in Brussels voted Prague, Czech Republic as the headquarters of the Galileo project. In 2005, the Swedish Space Corporation proposed hosting a Galileo Telemetry, Tracking and Command station at Esrange as its location complements the equatorial stations and ensures continuous coverage for the exchange of data between the satellites and the ground. 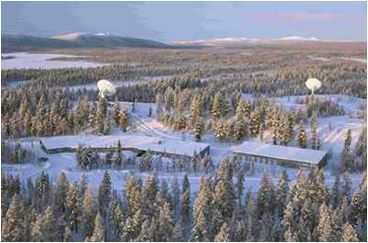 The Galileo ground station at Esrange was officially inaugurated on 13th December 2010. The first two of four operational satellites were launched to validate the system in October 2011 and two more followed in October 2012. Additional satellites will be launched to reach Initial Operational Capability (IOC) around mid-decade with the full complement of 30-satellites (27 operational and three active spares) to ensure global coverage expected by around 2019. Regina explained how the ESA has become increasingly militarised over the years and how many science and technology projects are now being funded under a heading of security. It is clear that Galileo will be used by the military and for 'security' purposes and to explore for oil and natural gas drilling in the melting Arctic Ocean. 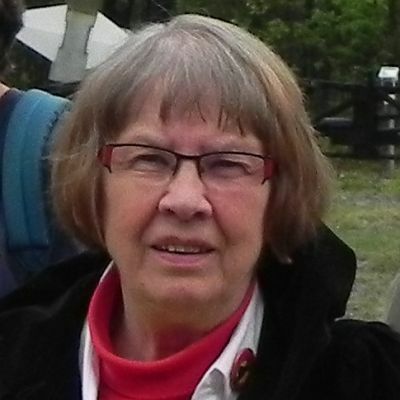 Agneta was not able to add much because of lack of time but you can download her paper here. In her paper she underlines that testing drones is only one part of the US/NATO military buildup in the North and describes the US and NATO military build-up focusing on the High North. She also points out that the new US ambassador to Sweden is Mark Bzrezinzki - son of Zbiniew Bzrezinsky the author of “The Grand Chessboard, American Primacy and its Geostrategic Imperatives”. The book gives all sorts of advice about how the US should take over the Eurasian continent. She also reports that the Swedish government recently decided to enlarge the important Airfield F-21 in Lulea in the North of Sweden to be able to receive bigger airplanes. 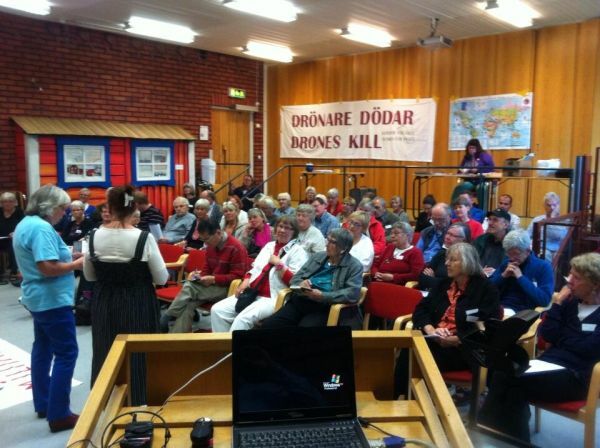 After outlining the early development and current use of drones, Agneta talked about the role Sweden has played and is playing in drone warfare and in particular the way that Sweden had agreed to invest in the European drone (nEUROn) programme. This plane will be able to launch precision-guided munitions and will have a stealth air frame which means it cannot be detected by radar. SAAB Aerosystems based in Linköping, Sweden, is responsible for overall design, fuselage, avionics, fuel system, flight control multi payload capabilities, ground and flight testing. SAAB received 700 million Swedish crowns for the nEUROn project which was made possible a deal between the Social Democrats, the Green Party and the Left Party in December 2005.
nEUROn will have the capability to carry two laser guided 250 kg bombs in two weapon bays. 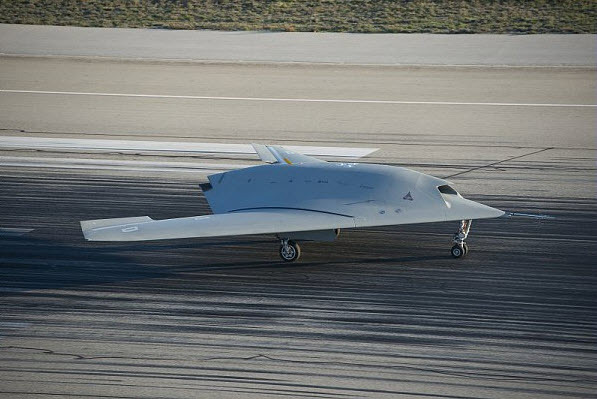 The unmanned nEUROn will be controlled from ground-based stations and from control stations in combat aircraft such as the French Rafale and Swedish 38 Gripen. Drones have been tested at Vidsel or NEAT for the last 10 years or so, in 2002 Israel was allowed to test drones, which were later used in Gaza in 2008/2009. In 2006 Holland tested drones and the Swedish tested the Eagel drone which was used for surveillance in Afghanistan. The growing use of killer drones means that populations in areas which are targeted live in constant fear. A Norwegian Doctor who worked in Gaza City's hospital during the Israeli operation 'Cast Lead' said: "Every night the Palestinians in Gaza live in terrible nightmare when they hear drones in the sky: you are never sure if it is a surveillance drone or if it will launch a rocket attack." Noam Chomsky has accused the Obama administration of running the biggest terrorist operation in existence. The US is not only killing people it doesn’t even know, but it is also killing children, people attending funerals and people attempting to rescue people who have been injured in previous strikes. 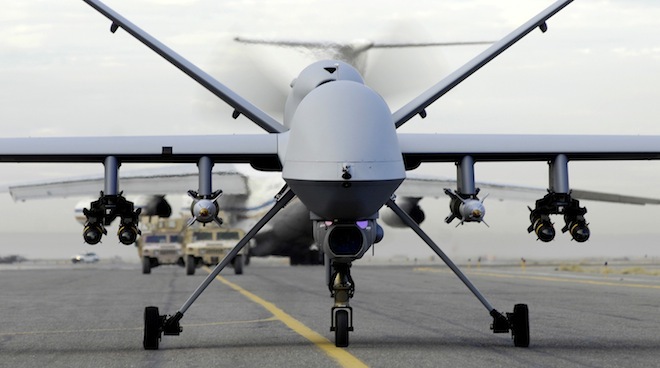 Philip Alston, UN special rapporteur on extrajudicial killings has suggested that drone killings carry a significant risk of becoming a war crime. Protests are mounting, people in Waziristan, Pakistan, Yemen are furious and we, the people in the countries which are manufacturing, testing and/or deploying them, must take action. 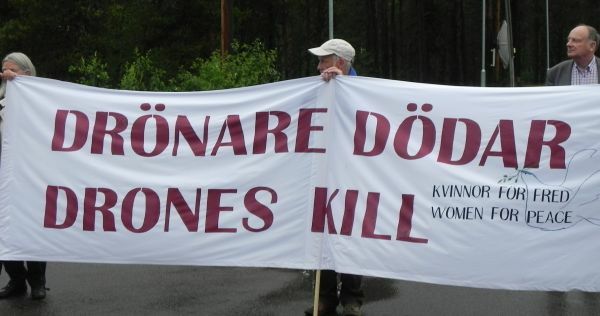 There are many protests in the US but not in Sweden and Finland where drones are tested and developed. We have to cooperate in resistance against drones all over the world during Keep Space for Peace Week and we must question our politicians who have allowed these murderous weapons to be developed. 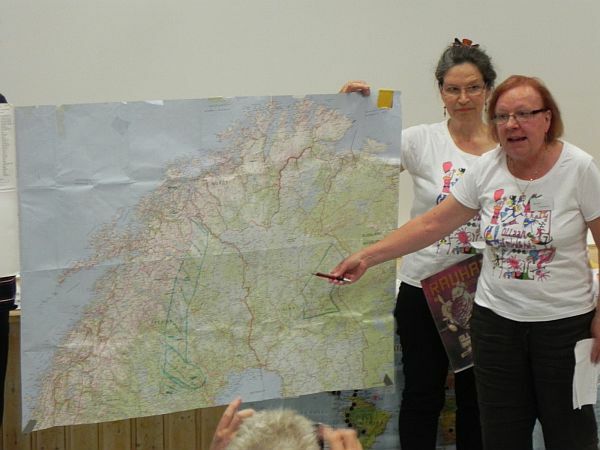 During the discussion session that followed activists from Finland showed the conference a map of the large drone testing area that has been established in their country. 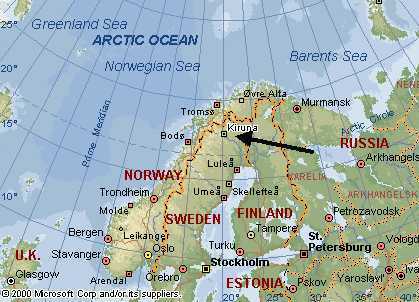 The 11,000 square kilometre test area is only 30 kms from the Russian border. In 2005 drones were tested there that were later used in Afghanistan. Finnish corporate controlled media, like in Sweden and Norway, are doing major anti-Russian propaganda that is pumping up conflict in the region. We must turn the Arctic region into an International Nature Park in order to prevent the drilling for oil and natural gas and the militarization of the Arctic. The conference then discussed, reworded and agreed the Kiruna statement that was to be issued and shared with other groups/networks etc. Finally, everyone expressed their deep appreciation to all those in the Swedish peace movement for doing a wonderful job hosting our conference. 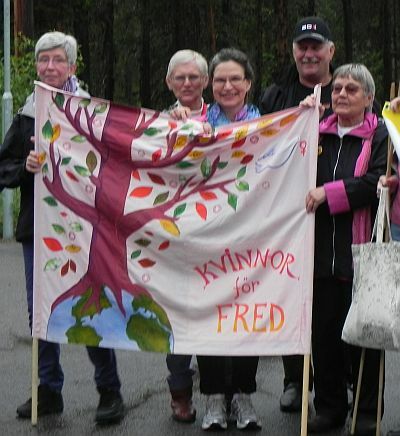 Particular thanks go to Women for Peace and especially those in Kiruna who worked so hard to take such good care of us. 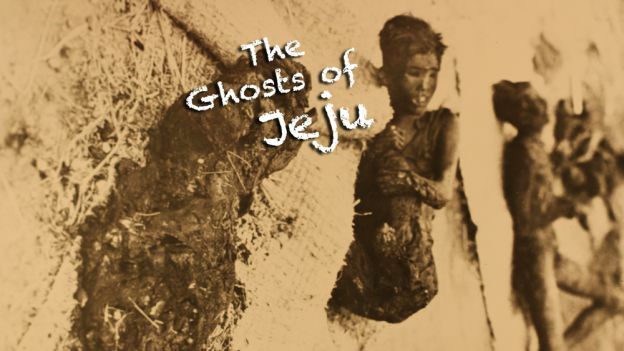 In the late afternoon/early evening a new documentary called "The Ghosts of Jeju" by Regis Tremblay was shown - people loved the film about the resistance to a Navy base on Jeju Island, South Korea that will port US warships as Obama's "pivot" into the Asia-Pacific further surrounds China. People cried, clapped with the music at the end, and asked for how to get the film. The need to talk more about how Techno-Fascism, and the worshipping of military technology, is a deep spiritual sickness. We also need to do more to help illuminate our thinking/concerns/knowledge on NSA issues. Any suggestions would be helpful. There was a tentative decision to hold our 22nd annual space organizing conference in 2014 near Vandenberg AFB in California. Dennis Apel will have more detailed discussions with Bruce/Dave but preferences of dates in early 2014 would be helpful for planning. A committee will be formed to work on this. Let Bruce know if interested. Atsushi Fujioka will begin talking with other activists about hosting the 2015 GN conference in Japan. More from him later. 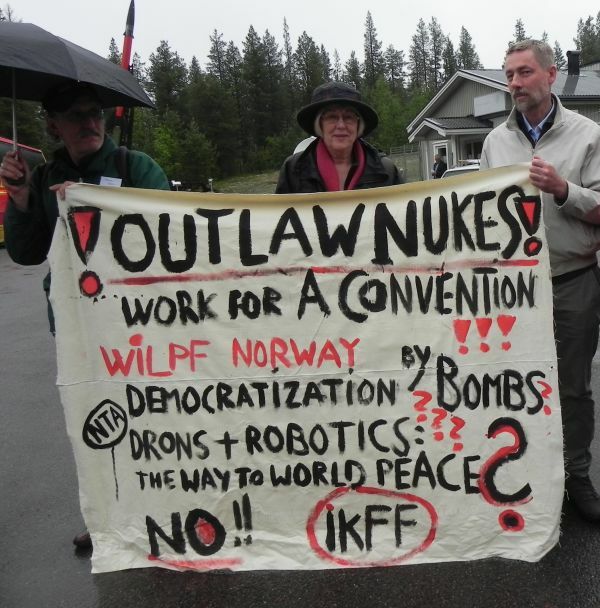 It was also resolved to create a Nordic network to work on drone and space issues that would work to organize local actions during Keep Space for Peace Week - October 5-12. 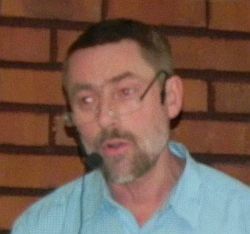 It was agreed to put together the basis of a draft anti-drone treaty and distribute it to groups worldwide in order to create discussion and movement toward demanding international regulation of these killing machines - Vladimir Kozin volunteered to construct the draft in the first instance. It was also agreed that we should investigate the possibility of creating a "missile defense" documentary video. Vladimir and Bruce will work on this and get back with ideas/suggestions/possible plans. 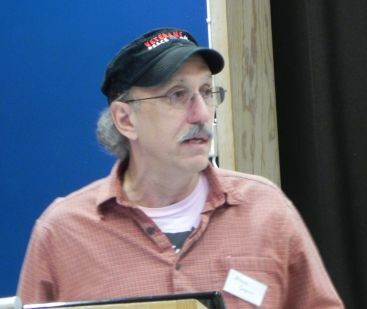 Dave Webb agreed to investigate both the international killer robotics campaign and the growing international drone campaign to see how the GN should organizationally relate to both. He will report his suggestions to the boards. 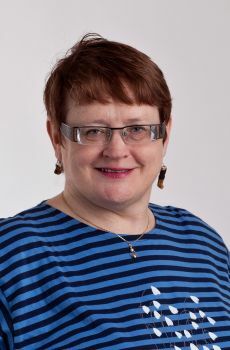 Regina Hagen will investigate how we might link (perhaps hold a side event on space issues) to the next NPT events in New York City in the spring of 2014. She will make suggestions to us. Board of Directors: Switched Michio Kaku and Helen John to advisory board and moved Lindis Percy and Dennis Apel to directors. Board of Advisors: Moved Michio Kaku and Helen John here and added Luis Gutierrez Esparza (Mexico), Ursula Gellis (Norway), and Vladimir Kozin (Russia) as well. As a reminder - we give full consideration and thought to comments/suggestions from members of the board and the advisory board. If/when you respond we request that you respond to all so that everyone gets a chance to see what you have to say. In the afternoon some of us took the fascinating and informative 3 hour tour down the LKAB iron ore mine. We joined the bus at the Tourist Office in Kiruna and were driven into the mine and 500m down to the mining museum. We were shown a short film about the history of mining in Kiruna in the underground cinema and then had a guided tour around the surrounding area which described the iron ore mining process and its history through a number of exhibits that showed us the equipment used from old fashioned hand drills to huge modern remote operated drilling machines. The tour clearly demonstrated the importance of the mine to the town and its future. Two members travelling back to or through the US are worth noting. On Monday morning we received an email from Luis that while in transit at Stockholm Arlanda Airport - on his way back to Mexico - he was taken aside and interrogated for some 45 minutes by United Airlines security personnel. They asked him to explain the purposes of the Kiruna conference, who organized and paid for it, who paid for his trip, and wanted him to provide a list of participants. He told the truth but, of course, didn't give any names. They finally let him go on board his plane and (as Luis reported) "they were pointedly polite, but in no way less harassing!" Bruce also came up against some harassment when passing through passport control in Boston in the US. The officer immediately got on the phone and someone came and took him down the stairs to customs. They told him to get his bag and then asked where he had been, what he had been doing, where he works, how many dollars he was carrying, where he lived and how he was going to get home. It seems like something is causing someone somewhere in the US to take more than a casual interest in us!